In the 21st century, online gambling has become a seamless and multi-dimensional pastime for gaming enthusiasts all over the world. The internet opened up the gambling world to a whole new market, one which granted it access to large numbers of players from all four corners of the globe. During the time of the evolution there have been a number of implementations to the online gambling scene that have carried the industry to its current state. 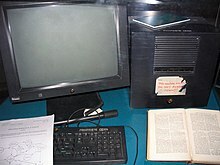 This NeXT Computer was used by Tim Berners-Lee at CERN and became the world’s first Web server. Photograph by User:Coolcaesar at en.wikipedia. In order to fully understand the evolution of online gambling its best to start at the dawn of the age of the internet. The creation of the internet allowed online gambling to be far more accessible than it had been in the past. There was and still is a stigma attached to gambling which stopped many from going to land-based gambling casinos; however, the introduction of the internet meant that those who did not want to be seen “gambling” could now engage in it from the comfort of their homes away from the glare of judgmental eyes. In the year 1994, Barbuda and Antigua became the first commission to give permission through licenses to organizations who wished to provide gambling facilities through online channels. In the same year developers Microgaming was launched and became one of the first online gambling sites and has since then created over 850 gambling related online games. Many of which have withstood the test of time and are still player favorites today. With the success of online gambling sites, it became even more important for safe and secure transactional services. In 1995, Cryptologic, a security software was created in order to guarantee online transactions. The following year saw a new industry player in the form of Swedish gaming developers NetEnt enter the game. By the time the late 90s arrived the industry had surged, moving from 15 online gambling sites at the end of 1996 to more than 200 at the end of 1997. At the end of 1998 market research company Frost & Sullivan released a report showing online gambling proceeds to have reached over $800 million. In the year 1999 at the end of the twentieth century the industry saw the introduction of multi-player games which allowed players to feel like they were part of a community though chatrooms and forums. This of course only increased the popularity of the new gambling scene that had been created. A new developer called Playtech closed off this century when it launched in 1999. At the start of the 21st century it had become clear that the internet was creating a new thing. This “thing” was also flaring up in the online gambling industry and more companies wanted to partake. This notion was due to the immense popularity of online games and the release of studies and research showing a surge in online gaming addiction. This prompted several commissions throughout the world to apply several regulations on gambling safety and required that all online gambling platforms operate only with a license. In 2001, it was estimated that 8 million people from all over the world were participating in playing online gambling games. This continued despite the implementation of various regulatory statutes. In the same year the largest progressive jackpot of the time, valued at $414, 199 was paid out. By the mid 2000’s market researchers Gartner Analysts reported online gambling services proceed to the value of 4.7 billion. 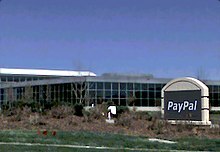 PayPal Operations Center and main office in Omaha, Nebraska. Photograph by Michael Sauers. In 2012, it was estimated that over a billion people were engaged in online gambling services of some sorts. The surge was owed to the introduction of mobile casinos which allowed millennials to access online gambling games on the move and at their convenience. The further introduction of debit and credit cards by Visa and Mastercard made the acts of depositing and withdrawing funds seamless. Secure online transactional platforms such as PayPal helped to offer smooth and secure transactions. In 2016 research company Juniper projected online gambling revenues to reach a whopping $1 trillion by 2021! Question for students: Why do you think gambling remains so popular? Please let us know in the comments section below this article. Blunt, Kenneth. The Complete Guide to Online Gambling Websites: The Best iGaming Websites Independently Reviewed for 2019. 2019. The featured image in this article, a photograph by Jeff Kubina from the Milky Way Galaxy of a slot machine, is licensed under the Creative Commons Attribution-Share Alike 2.0 Generic license. This image was originally posted to Flickr by Jeff Kubina at https://www.flickr.com/photos/95118988@N00/347687569. It was reviewed on 27 April 2008 by FlickreviewR and was confirmed to be licensed under the terms of the cc-by-sa-2.0. Previous ArticleMarch 10, 2019: Captain Marvel, Throw Out the Controversy and Enjoy the Movie! Next Article History of The Word Marijuana & Why We Don’t Use It?